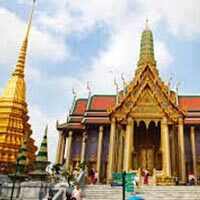 3 nights in Pattaya for maximum fun and 2 nights in Bangkok. Room to extend your stay in Pattaya and Bangkok. Good space for individual activities in Pattaya. On arrival at Suvarnabhumi International airport in Bangkok, collect your luggage and meet with Plan Journeys representative at meeting point. After meet and greet he will guide you to board your coach for Pattaya transfer. From airport to Pattaya, journey is about 1 hour 30 min to 2 hours. On arrival in Pattaya, check in to your hotel and relax. Evening is free for you to relax. Overnight in Pattaya hotel. Breakfast in your hotel in Pattaya,later we will take you to the coral island tour in Pattaya. Board your speedboat to Koh Larn Island, enjoy on the beach and later we will take you to lunch at a local restaurant. At the beach, you have free time to swim or enjoy optional water sports activities. Overnight accommodation at your hotel in Pattaya. Good night! After breakfast at your hotel in Pattaya, the day is for you to relax on your own. You can go for many optional tours we have like Alcazar show, half day tour of Sriracha Zoo, Mini Siam tour, etc. or you can stroll around the beach area or the famous Walking street of Pattaya. Overnight stay in Pattaya hotel. Today after breakfast, check out from your hotel in Pattaya and board your coach to Bangkok. En route you will get a chance to visit gems gallery to shop for world famous gems of Thailand. Later on arrival in Bangkok, check in to your hotel and relax. 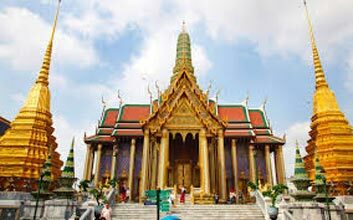 Late in the evening you can go for the optional tour of Chaopraya River cruise with dinner and enjoy the beauty of Bangkok from there. Overnight accommodation at your hotel in Bangkok. Breakfast at your hotel in Bangkok,later get ready for the half day city tour of Bangkok which includes visit to two famous and stunning temples – Wat Trimitr, houses the world’s largest solid golden Buddha and Wat Benjamabophit – known as marble temple, one of the major tourist attractions of Bangkok. Later in the afternoon, you are free to go for last minute shopping in Bangkok. Overnight accommodation at your hotel in Bangkok.